If you have read my blog for a while you know that basically every Saturday (and now every Tuesday), I visit a farmers market in Richmond. 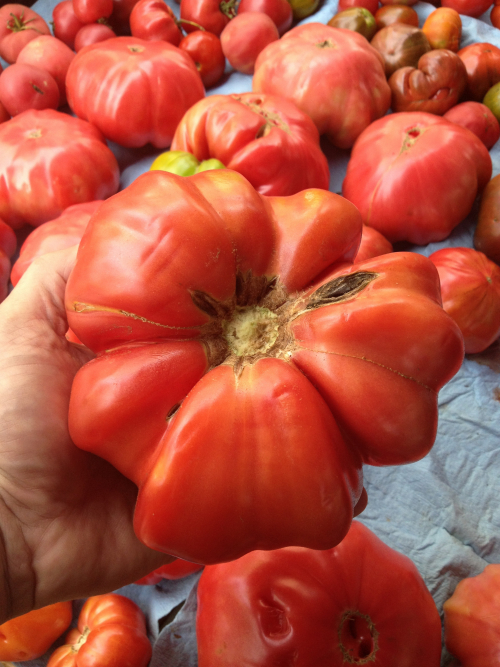 I try and support local farmers and food purveyors as much as I can. 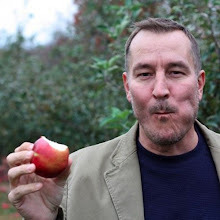 Being able to meet and talk with people working directly on the farm or just getting produce picked from the day before really does make a difference. The same is true when I travel and even if I only pick up a few pieces of fresh fruit — I always try and take a walk through a farmers market. 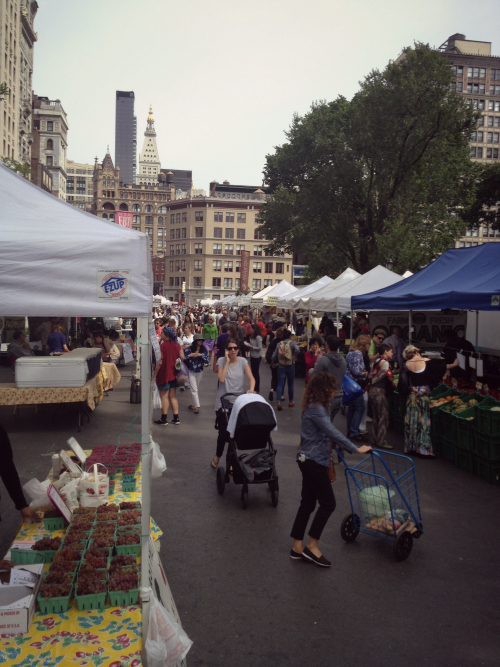 That market this week is the Union Square Green Market — smack dab in the middle of Manhattan. With the exception of the sheer size of this market, your usual suspects can be found — vegetables, fresh breads, meats, dairy and seafood. In addition there are a few more options for items like duck, a juice bar, and people trying to hand you some type of advertising to a restaurant, show, or business, I mean it is New York. 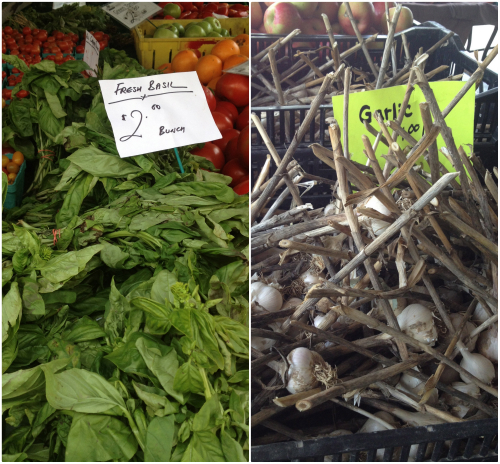 Late season basil and fresh garlic. 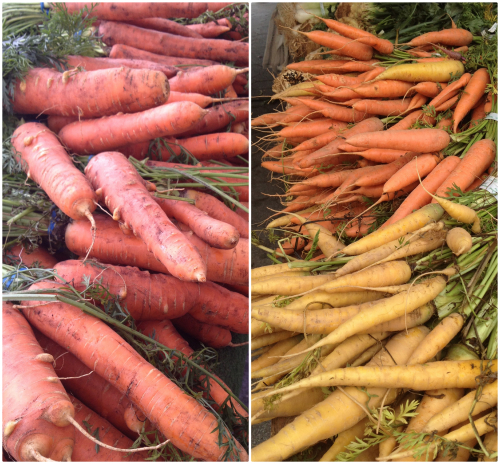 Beautiful carrots. The lumps make them taste better, don't you agree? 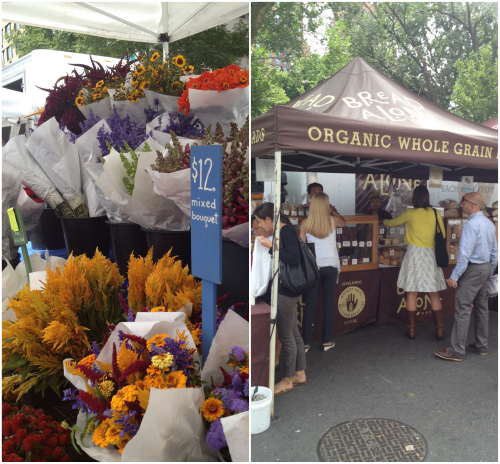 Flowers beaming with fall colors and fresh organic whole grain breads. Some late season okra and if you can still find some just simply toss them on the grill. 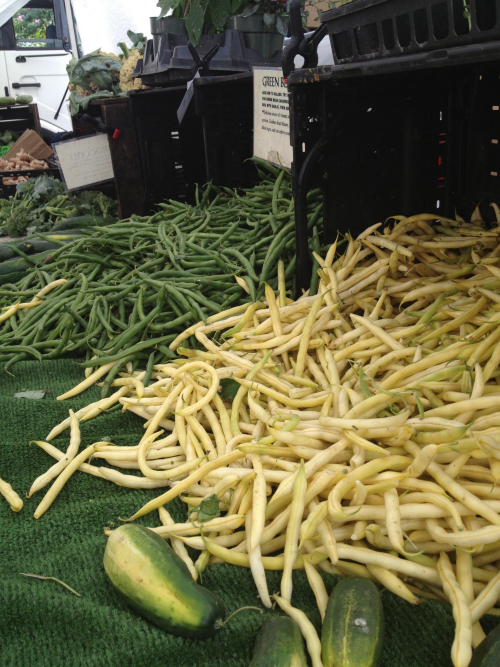 Mounds of green and yellow beans. If you can still score some yellow beans here is a recipe for Hungarian Yellow Bean Soup. I am hoping to still find some of these Saturday at my local Richmond market. I certainly did not show you every vegetable and stand at the market, but this was a good sampling of what was available. Going to the market makes for a good family outing and can be a fun educational trip for kids so we can continue to teach about raw ingredients and where vegetables actually do come from. Click here to find out how to find a farmers market in your area by simply inputting your zip code and make plans to visit one this weekend. I think you are going to enjoy the outing and I'd love to see what you find! 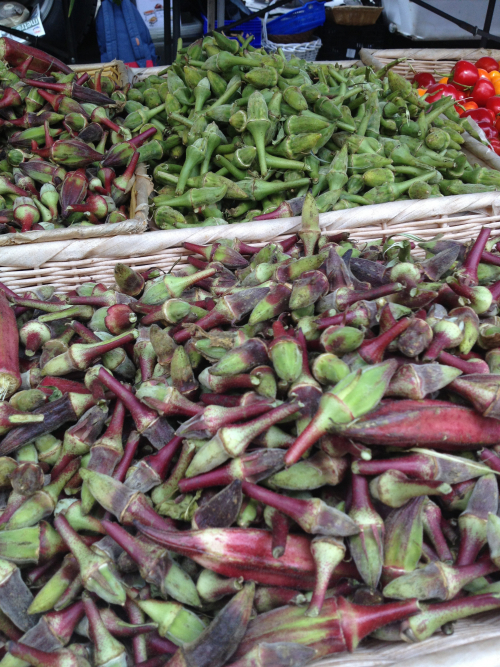 Great photos, Tim - I loved that market when I was there in February! I agree such a beautiful market smack dab in the middle of Manhattan!